Google Play Store is the ultimate stop and solution for any application, game, or any other type of apk file for Android devices. Google Play Store is the default application installed on Android and also considered as the safest option to download an application onto your Android device. However, there are various other platforms which enable you to download a variety of apps that Google Play doesn’t offer. Though, you can’t possibly know which platform is better than the other. 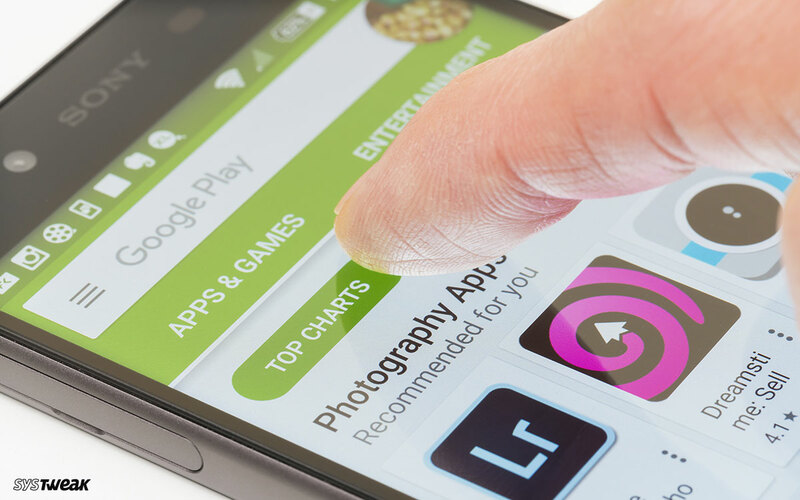 So to reduce the hassle, we have listed some of the best Google Play Store Alternatives that opens the door to the open source platform to download applications and get the best of your Android phone. One of the most popular and best Google Play Alternatives, Amazon Appstore which offers a paid application for free every day. To use it, you have to download the apk file of Amazon Appstore. The app is very convenient to use, and you can use the same account to use it, which is registered on the Amazon website. You can search for the apps of different genres as they are categorized in different sections.The user interface is simple and similar to Google Play. APK Mirror is for the people who love to get the new updates of your favorite apps before everyone else. There is no apk version of APK Mirror, one has to go to the website to search and download applications. According to the website, the offered applications are free from malware. However, you would only find free apps on the store. The store’s UI makes easy to search and download apps. To see the latest updates and uploads, you can go to Latest Uploads. You will get all the versions of an app on the store, You can go to the download page of the version and get the apk app. Mobogenie is one of the best Google Play Alternatives with various apps and games of its own. It provides you personalized recommendations based on user’s preferences.It supports 10 languages, Italian, English, Polish, Spanish, Arabic Portuguese Russian, Vietnamese and Indonesian. However, it doesn’t allow to download any of the apps directly, it simply redirects you to Google Play. Aptoide is the store with all the free applications for users to download. It also has a feature “Trusted Stamps” that ensures that an app is free from malicious content and it is listed among the top used stores and it also generates millions of downloads for the developers and publishers. You can also downgrade the version of an app if you are facing issues with the latest version. It ensures to provide malware free apps. The store also provides a platform to the users to publish their apps and make money out of it. Yet another best Google Play Store Alternative, GetApk with 25 categories to choose from. It also provides the list of top 100 apps that are popular. Every day, apps are added to make the list of apps even bigger. Generally, you will get all the apps on the store but if the app that you want is not listed on the store, you can request to add the app to the website. GetJar is a free alternative for Google Play which offers a wide range of apps for Android and other mobile OS. It allows Users to add their apps through a submission queue option on the forum. Users are rewarded with virtual currency for their loyalty, the currency can be used to purchase apps from other stores including Google Play Store. It has also provided an apk file for itself to be installed on your Android to make it easy to have the store on the device. AppMarket allows developers to upload their apps on the website which makes it one of the best alternative of Google Play Store. It is the coolest way to find useful and trendy apps. It allows you to download the apps in a faster manner. It also makes sure the environment is free from malware. Moreover, all the apps available on the app market are totally free. It lets you get the glimpse of the apps before downloading it to get the touch and feel of the same. With this store, you can monetize, promote and publicize an app to increase the visibility and enhance the growth of the app. It is one stop solution to get the premium apps for free, these apps are provided for free for a limited period on AppBrain, AppBrain returns the favor by doing publicity of the app. To download apps from AppBrain, it is essential to sign up otherwise, every time, you try to install any app, it will redirect to Google Play. 4Shared is one of the best alternatives of Google Play which has a user friendly interface which allows you to search and download apps, games or any other apks files for free. It makes the search for a file easy with the filters like Upload time, size etc. provided. It is mandated to make an account on 4Shared before downloading any file. It allows you to share your favorite apps with your friends. You can download the app from Google Play Store. It also has a paid version which is free from Ads. Last but not the least F-droid is a free store with Free and Open Source Software which makes it, one of the best alternative of Google Play. It makes sure that the content uploaded is free from malicious content. The apps available on site have no ads on it and apps don’t track which someone increases the battery life of your device. With F-droid, it is easy to browse and install the apps and also to keep track of updates. Thus concludes the list of the some of the best Google Play Store Alternatives. Try them and get the variety of apps installed on your Android to get the best of your smartphone.